Kid Pan Alley, 2015 - present. Sahffi joined Kid Pan Alley (http://www.kidpanalley.org/) as a teaching artist in 2015. 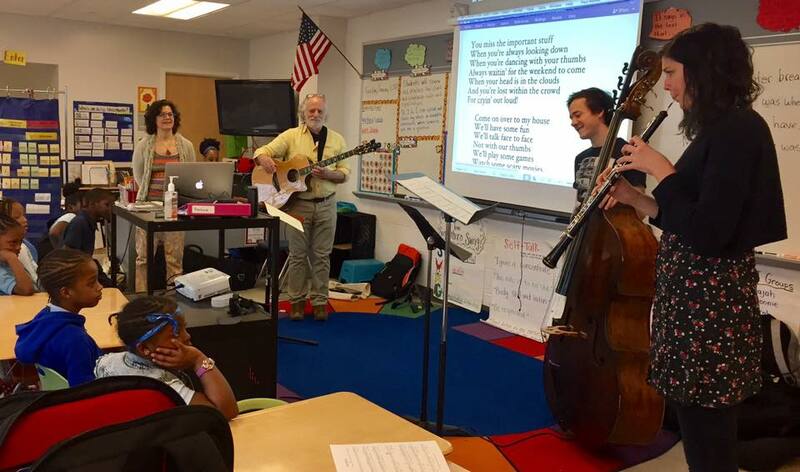 Paul Reisler, founder of Kid Pan Alley, has dedicated the last 16 years to bring collaborative songwriting into the classroom, so children are not just consumers of music, but also creators. With a Grammy nomination, a Parent's Choice Award and over 2,700 completed songs written with over 40,000 children, Sahffi is honored to be a part of this excellent organization. Sahffi is shown here with Kid Pan Alley founder Paul Reisler and members of the National Symphony Orchestra helping to arrange the songs of the children of Savoy Elementary, in Jan., 2017.